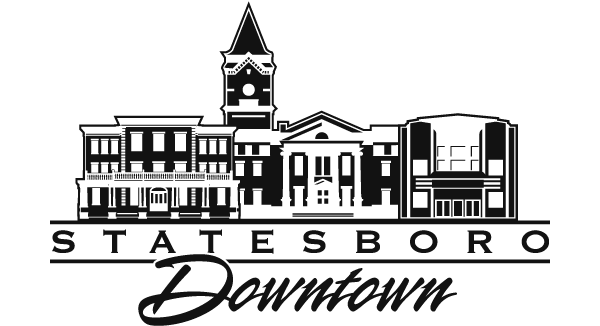 What a better way to start of February than enjoying all of Downtown Statesboro’s exciting date night attractions with your sweetheart. The Downtown Statesboro Development Authority invites you to our F1RST Friday Date Night on Friday, February 1, from 5:30 p.m. to 8:00 p.m. on West Main Street. This event will feature local shops and food vendors including various food trucks. Date night will have live music by an upcoming American Idol contestant Gazzie White. Make sure you stop into the stores on West Main Street and check out the giveaways and specials offers they may have for your loved ones. Date night will also have Statesboro Regional Art Association (SRAA) live painters and a beautiful display of art at the Rosengart Gallery. To top it all off, a massage therapist will be giving free massages at Pladd Dot from 5 p.m. to 7 p.m.
West Main Street will be closing at 4:00 p.m., however, many businesses will be staying open late, as well as offering promotions directed towards couples. This is a great way to familiarize yourself with the shops downtown and interact with the downtown culture. One highlight will be a s’mores stop where you and your significant other can share a sweet treat. New this year, Queensboro is partnering up with the Humane Society to host a kissing booth where you are able to get your picture taken with an adoptable puppy. The Humane Society aims to bring awareness to the community of the adoptable animals that it currently has.